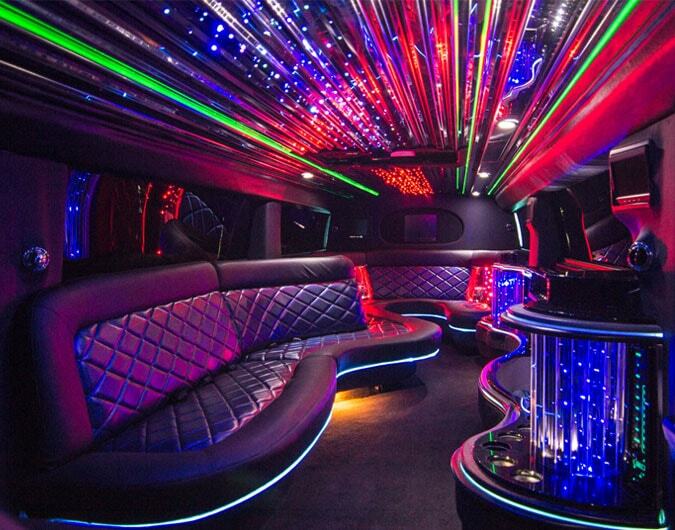 Party bus luxury limos in the Northwest area. Manchester, Lancashire, Liverpool and the surrounding areas covered..
Are you looking for a great day or night out in party bus in the Manchester area? What is a party bus limo? Party buses offer seating capacities from 20 to 50 passengers and include more amenities and standard equipment than most other forms of ground transportation. All our buses include, AM/FM stereo with CD player, power/heated remote control mirrors, power door locks and windows, upgraded seats and fabric, video and audio systems, cameras, smoke machines, laser lights, disco lights, strobe lights, ADA equipment and a large array of floor plans to suit demanding transportation needs. The Party Bus limousine can be rented for any occasion or event in UK but is very popular with hen nights, girlie birthdays, children's parties, corporate events, Royal Ascot and in some cases even weddings. There are many different versions; some are even converted vans or mini buses, but the finest have to be those based on a coach or bus. They include the Pink Panther Party Bus, American Dreamliner Party Bus, black Party Bus and the brand new red double decker Party Bus with an open top. So pump up the volume and get set for the most fun you can have on a set of wheels! Let us help you make the most of your time! Just Call 0871 789 7799 for the ultimate limozine experience.